Designed to fit 10' x 10' tradeshow exhibit space. Fabricated from EVA (Ethylene Vinyl Acetate) foam for longevity. Soft grey carpet top with professional appearance. 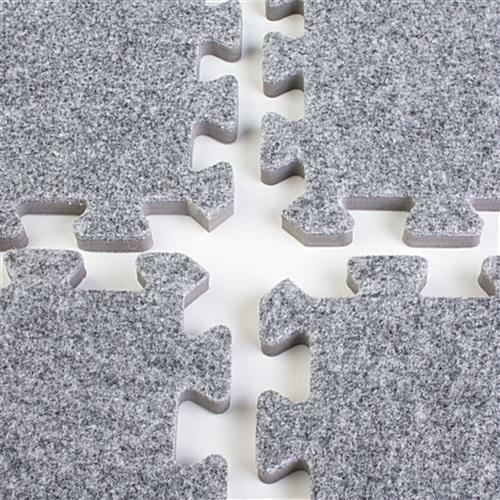 Interlocking mats are specially designed and finished with EVA foam and a carpeted top for professional walk-on surfaces. 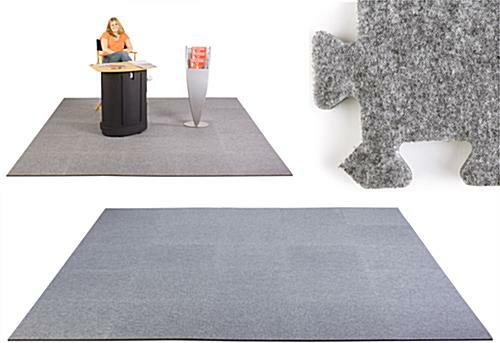 These interlocking mats have a contemporary charcoal grey finish for use in a variety of locations. 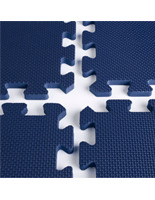 The EVA construction of the interlocking tile ensures these interlocking mats can be used for a long time. These interlocking mats, also known as floor mats, are also a lifesaver for your feet as they are anti-fatigue. 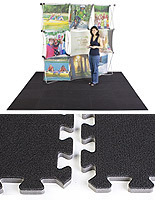 These foam floor tiles, interlocking mats are the perfect accessory for any tradeshow booth or floor surface. Adding interlocking mats to trade show exhibits or exhibition halls is the key to making your overall exhibit stand amongst the competition. 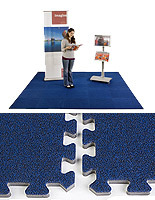 These foam mats, floor tiles and other interlocking mats can be installed in seconds. 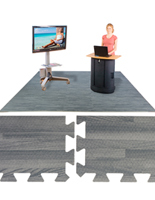 To form a 10' x 10' display floor, simply connect all 25 pieces interlocking mats like a jigsaw puzzle. The edges of these interlocking mats are finished, giving you a more professional look. 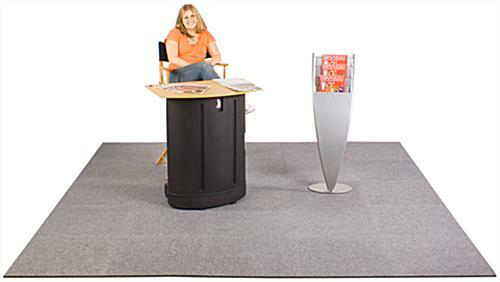 The combination of the carpeted surface and finished edges makes your booth look more professional and appealing. 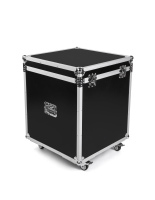 Please Note: Do not place heavy display fixtures or equipment with small feet on the mat. Some high heel shoes may leave a permanent imprint as well. Each section is a soft tile with a foam interior that can be damaged by heavy objects. Hi Mindy, Thanks for your review. We would love to see the floor tiles in action if you get a picture of it! Mindy, what colour of these carpet tiles did you order? The gray appears to quite a light colour, but are called "charcoal", so curious if the pictures is accurate or if these tiles are a little darker? Posted 2 years ago by Murray L.
Murray, We ordered the gray and they are indeed darker than they appear in the photo. I would call them a medium charcoal. We just concluded our trade show where we used them the first time and they held up nicely! Posted 2 years ago by Mindy M.